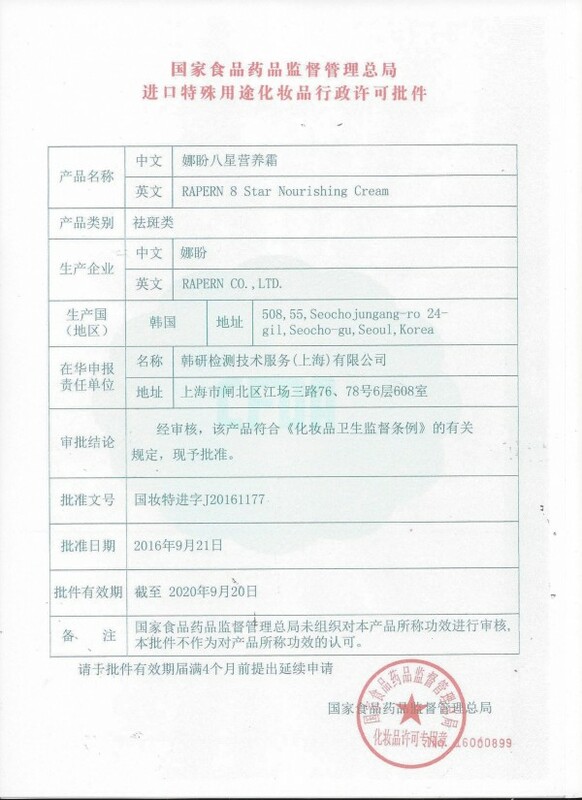 All products will be obtained CFDA by December. 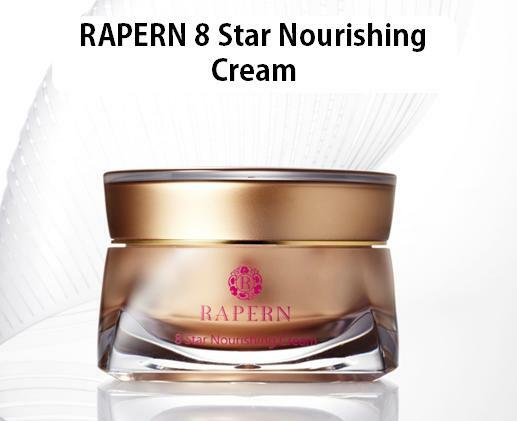 RAPERN is looking forward to entry to Chinese market as good quality cosmetics. 라펜이 제품으로 9번째로 '8스타 영양크림'이 중국 위생허가증을 획득했습니다. 총 15개 제품 모두 KTR상해와 함께 위생허가 진행 중에 있습니다. 순차적으로 위생허가증이나오고 올해는 전 제품이 위생허가증이 나올 예정입니다. 앞으로의 중국 진출이 더욱 기대가 됩니다.